E3 was a typically mixed bag once again this year. Obviously there was no shortage of interesting news and revelations, and it really painted a picture of the industry's direction long-term, but no single announcement leapt out as the thing to be excited about. Microsoft alluded to a new console, Sony faltered, and Nintendo spent arguably far too long exploring the myriad ways in which Super Smash Bros. Ultimate is slightly different from previous franchise entries. But, that said, the list of games to look forward to over the next 12 months features some really promising gems, and the show certainly did a lot to shake up our expectations of what the big three platform holders are up to. Here are the choices from the GamesIndustry.biz team for our second annual E3 awards. Fans of the acclaimed Japanese studio have been eagerly awaiting more details on what its next project might since the obtuse yet intriguing 30-second teaser trailer released late last year. What From Software brought to the table with Sekiro: Shadows Die Twice was everything fans could have hoped for. Staying true to the decidedly From Software style of game, while stepping away from its typical gothic horror setting into more Asian-inspired surroundings, Sekiro: Shadows Die Twice is drenched with blood and replete with an increasingly horrifying gamut of monsters for which From Software is so revered. But it was more than just the promise of From Software doing what From Software does best that sees it recognised as the best developer at E3 2018 by GamesIndustry.biz; it was also the announcement of mystical and intriguing PSVR title Déraciné. Certainly not something we've seen From Software tackle before, but the developer's signature style of tangential, cryptic storytelling appears very present. 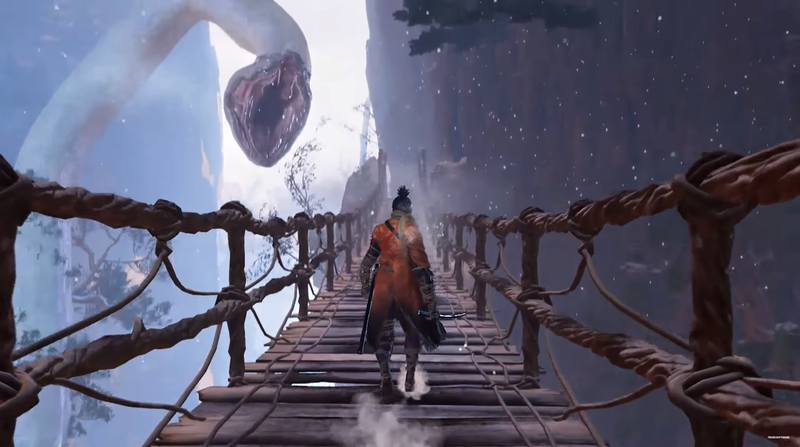 What From Software game is complete without a horrifying serpent/dragon attacking you on a bridge? Bethesda not only offered up one of the more densely-packed press conferences of E3, but also one of the most varied. While the shift to games-as-a-service is arguably good for the long-term health of the industry (not to mention increasingly inevitable), it could come at the cost of creative diversity as less profitable games are sidelined. But Bethesda, despite announcing that Fallout 76 will fall squarely in the GaaS camp, also offered a slew of single-player experiences from its roster of still relatively fresh and lively franchises including DLC for Prey, Wolfenstein: Youngblood, and Rage 2. In a year when Bethesda could have simply announced more Fallout and Elder Scrolls and left it at that, the decision to maintain a level of focus on single-player experiences that have populated its catalogue in recent years is a welcome move in the current landscape. 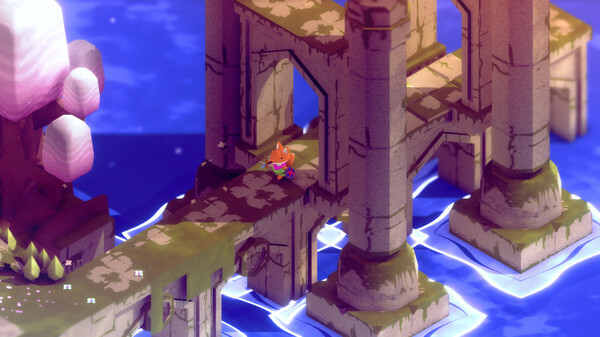 A clear homage to the Legend of Zelda franchise, Tunic features an adorable anthropomorphic fox fighting bad guys and solving puzzles, scratching that itch that only a classic action adventure game can. Beautiful in its own right, and independent enough from its Zelda genealogy to stand confidently alone, publisher Finji has a promising indie darling on its hands with this one. Solo developer Andrew Shouldice is clearly a talent on the rise. Developer Sucker Punch made a name for itself with the InFamous franchise, and solidified itself as a world-class studio with InFamous 2. Since then, the first-party Sony developer hasn't quite been able to generate that same level of enthusiasm from consumers or critics, but Ghost of Tsushima looks to turn around the company's fortunes. Playing to the studio's strengths with a narrative-focused, action heavy, third-person title, Sucker Punch is throwing players into the ever-popular samurai setting in this strikingly beautiful game. Although Sony promised a "deep dive" on the game, we didn't see much more than a ten minute gameplay trailer, but what little we saw -- swords, stabbing, climbing, cherry blossom trees, more stabbing -- has us excited for what's in store. Angry electro music, lurid neon lights, and hyper violence; based on the industry and consumer reaction to CD Projekt Red's Cyberpunk 2077, that's the perfect recipe for success at E3. A real departure from The Witcher series that catapulted the studio to fame, Cyberpunk 2077 has set the consumer press ablaze with excitement, especially from those lucky enough to have played a nearly hour-long demo. It has, without doubt, attracted the most attention. Announced last month but on display for the first time at E3, the Xbox Adaptive Controller is being recognised for technical innovation because of the genuine and real impact it could have on the lives of disabled gamers everywhere. Designed in partnership with charities like SpecialEffect, The AbleGamers Charity, The Cerebral Palsy Foundation, Warfighter Engaged, and Craig Hospital, the Adaptive Controller has turned what was previously highly-specialist technology into an affordable consumer item, bridging the gap of inequality for gamers with disabilities, making the industry more inclusive, and drawing attention to this important yet often ignored issue. Complete with a battlebus, supply drops, and a photo opportunity to have yourself green screened as someone parachuting into battle, the Fortnite booth played to its strengths as a game, and went the extra mile to make it more than "just a booth". Does it match up to the Super Mario Odyssey booth from 2017? That's hard to say, but it certainly stood out from the competition this year which, as both North American editor Brendan Sinclair and UK editor James Batchelor -- who have been at the show all week - noted were a little lackluster at best. While it's hard not to get excited about all of the glossy new game announcements, here at GamesIndustry.biz our definition of "fun" is a little different; Microsoft's announcement that it had acquired four new first-party development outfits (plus a fifth newly opened studio) really piqued our interest. Going into this year's E3, the talk around Microsoft is that it's got nothing to show for Xbox; it's sat in the crumbling ruins of its glory years, propping itself up on crutches hewn from decade-old franchises. But this announcement was a real game changer and although we're unlikely to see anything from these developers anytime soon, it demonstrates that Microsoft is aware of its shortcomings, and is actively taking steps to reassert the Xbox as more than just a platform, but one with exclusive content worth getting excited about. For the first time in a while, it's Sony that's looking tired. The more you learn about Cyberpunk 2077 and its sprawling, densely-packed, seamless world, the more you can't help but be impressed by what CD Projekt Red is attempting here. From that first trailer five years ago, through to all of the new details seeping out about the scale and scope of the game, developers are not only excited, they are impressed. CD Projekt Red has never been short on ambition, and things look no different with Cyberpunk 2077. As ever, the next six months is tightly packed with major releases, from Red Dead Redemption 2 through the FIFA 19, Battlefield V, and Call of Duty Black Ops 4. But nostalgia sells, and Super Smash Bros. Ultimate is mainlining all of the Nintendo nostalgia of the universe. Proudly declared as the "biggest crossover in video game history", Super Smash Bros. Ultimate is almost a guaranteed hit. Combined with the holiday launch window, and the continued strong performance of the Switch, Super Smash Bros. Ultimate is going to be good for business. Despite Nintendo's share price taking a pretty savage hit after its E3 briefing, Nintendo of America president Reggie Fils-Aimé said the company has defied analysts in the past and will continue to do so. Super Smash Bros. Ultimate could well prove him right.